Super excited to announce that I am going to attempt my very first “cook-through” of a cookbook. And I’ve chosen the hilarious-sounding, yet (hopefully) delicious recipes from our favorite New Jersey Burger Joint – Bob’s Burgers. 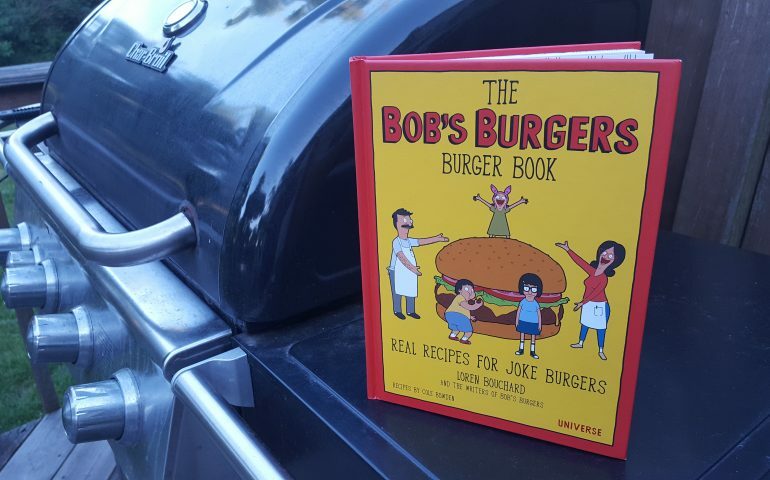 There are 71 “real recipes for joke burgers” in this bad boy and I can’t wait to try all of Bob’s imagined brilliance. I’m sure my coronary will thank me. I have every expectation of doing a burger a week, however, we do live where it snows so this may be a very long endeavor. I know, I know: “just buy a cook top grill, you’ll be fine”. Well, I might. So there. But for now, it’s three days in to being officially summer and that means it’s grilling season! So let the burgers begin. Follow along and watch me talk to my food (a key step, I assume) and battle through finding some black garlic.